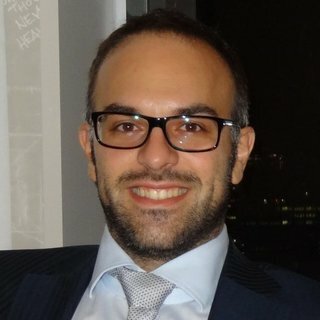 We talked with Dr. Panagiotis Lytrivis, Technical and Innovation Manager of the INFRAMIX project and Senior Researcher at the Institute of Communication and Computer Systems (ICCS) in Greece. Dr. Lytrivis highlighted the main problems and ambitions faced by INFRAMIX. “The challenges that will arise in the initial phase of the introduction of automated vehicles on our roads are how these automated vehicles will be integrated smoothly in current traffic, consisting of conventional vehicles, with the support of road infrastructure without jeopardising traffic safety and efficiency”, says Lytrivis. Dr. Lytrivis emphasised that INFRAMIX is a multi-disciplinary project looking at the different factors which will support the introduction of automated vehicles in the transition period with the active support from the road infrastructure. To this end, the expected results are summarised as follows: a) implement the necessary interfaces and messages for establishing the communication among the different actors, b) provide traffic estimation and control strategies for different penetration rates of various levels of automated vehicles, c) develop a co-simulation environment for realistic testing, d) design new visual signs for the harmonised co-existence of all road users, e) prepare an infrastructure classification scheme and a roadmap for upgrading the road infrastructure towards automated driving. To achieve such novel goals and create an impact in the community, Dr. Lytrivis stressed the importance of the consortium expertise combined with external interactions with all the key stakeholders as necessary. The main innovations highlighted by Lytrivis are INFRAMIX project is working on providing innovations both at physical and at digital level. At physical level, the consortium will propose minimum required adaptations and upgrades for existing roads, as well as novel traffic signs. At digital level, the enhancement of the bi-directional communication between the road infrastructure and automated vehicles and the provision of an extended electronic road horizon for automated vehicles will be implemented. Another innovation addressed by Lytrivis is the coupling of different simulation environments; in order to do proper testing automated vehicles are necessary which are not yet certainly legal and are quite expensive to acquire and experiment at large scale. “The INFRAMIX simulation environment will allow us to investigate safety critical situations and mitigate the associated risks in real life implementations”. One of the key innovations of INFRAMIX is the infrastructure classification scheme, which indicates the connectivity and automation capabilities of any specific road infrastructure and the capability to host vehicles of different levels of automation and connectivity. Lytrivis says that the main difference between INFRAMIX and other projects in the field is the focus on the transition period and the holistic approach to support both automated vehicles of different levels and conventional vehicles to co-exist on the same road network. We asked Dr. Lytrivis what has been the most important recognition INFRAMIX has received. “Since the project is still half-way and major results are expected in the following period, INFRAMIX has not yet received important recognition”, says the doctor. “However, it is widely discussed and referenced among other EU Automated Road Transport projects and the idea of the Infrastructure classification scheme has gained significant attention at international level and many stakeholders are interested in this” stressed Lytrivis with enthusiasm. Lytrivis emphasised that one of the major challenges of the INFRAMIX project is to safeguard consistency among the physical and digital world. “Imagine what will happen in case the speed limit according to a traffic sign is 50km/h in a road segment while electronic horizon the automated vehicle receives a recommendation to go at 80km/h. Therefore, correctness and consistency among physical and digital world is necessary and at the same time a challenge. We need to perform careful but swift steps using advanced simulation tools combined with tests in real environments to ensure an accident-free and without affecting traffic efficiency coexistence”, says the doctor. About the main beneficiaries of the results, Dr. Lytrivis says that road operators will be the first recipients, since the emphasis of the project is to prepare the road infrastructure for mixed vehicle traffic flows. In turn, all other stakeholders, such as automotive manufacturers, logistics companies and technology providers, will follow, while the final recipient of the results will be everyday road users. Moreover, the project outcome is expected to influence future traffic regulations and standardisation, in Europe and beyond. The European transport sector, infrastructure and logistical managers and the European society will also be benefited from these achievements. “INFRAMIX is almost half-way”, says Lytrivis about the current steps of the project. “Traffic estimation algorithms and traffic control strategies for the three INFRAMIX scenarios are close to their finalisation. The co-simulation environment, which is modular and allows for testing with various penetration rates of automated vehicles, is almost ready. Both trucks and passenger vehicles are included in the virtual traffic. The infrastructure elements such as the digital maps and the communication equipment, have been modelled based on the specifications provided by the two modern highways in Girona, Spain and in Graz, Austria. These two test sites along with the prototype test site in Germany are being prepared for the demonstration of the scenarios. The evaluation plan is underway and the infrastructure classification scheme is being discussed with relevant stakeholders”.